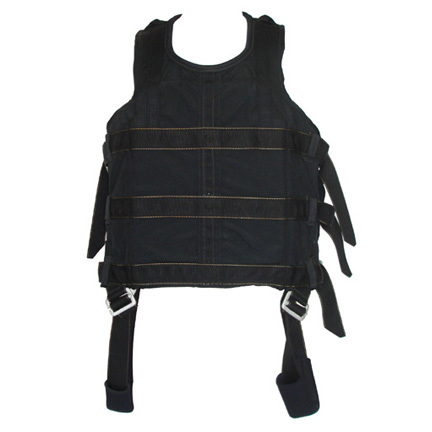 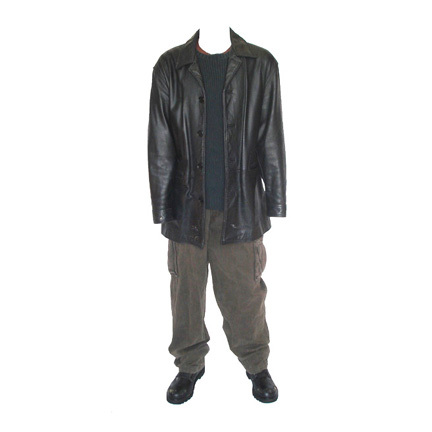 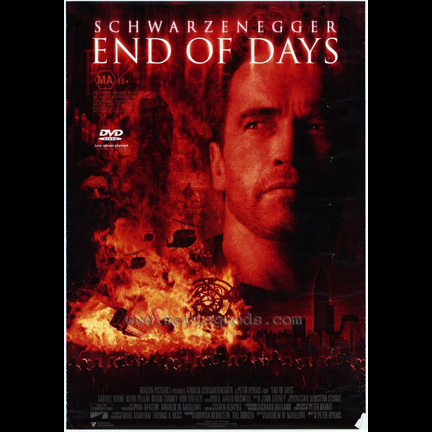 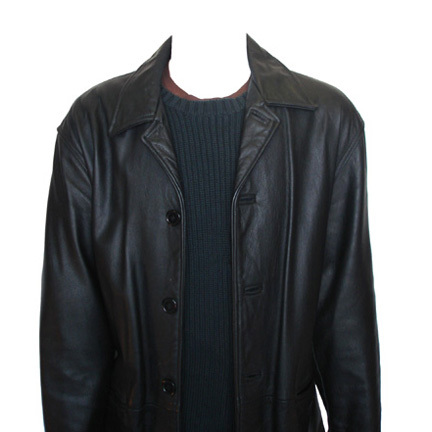 This complete costume was worn by the character “Jericho Cane” portrayed by actor Arnold Schwarzeneggar in the 1999 motion picture “End Of Days” starring Robin Tunney and Gabriel Byrne. 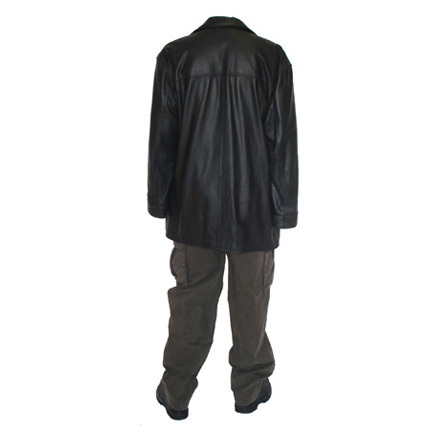 This outfit consists of a black leather jacket, black sweater by Gap, brown t-shirt, olive pants, belt, black leather boots, leather gloves, and stunt harness. 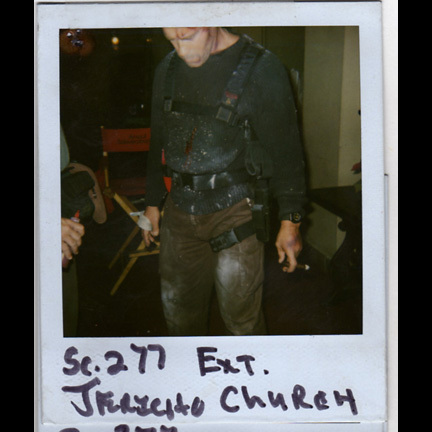 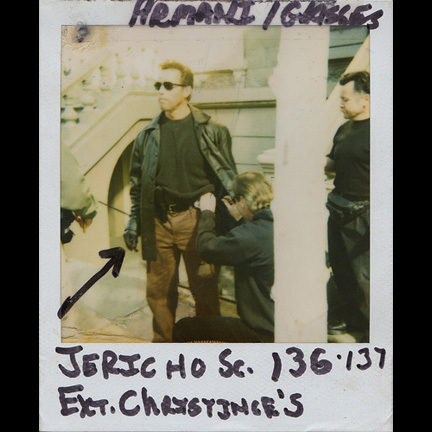 This outfit was worn in various combinations throughout numerous scenes of the film, and the included stunt harness was utilized in the notable scene where Arnold’s character is hung in a crucifixion pose on the side of a building after being captured and roughed up by the servants of Satan (Byrne). 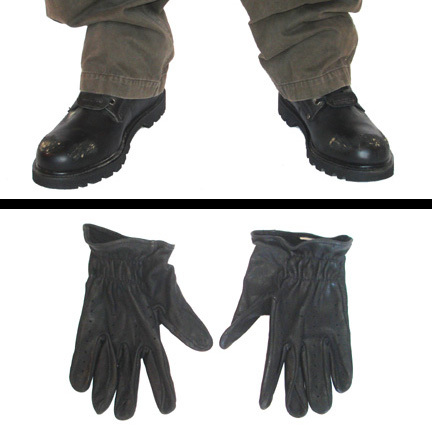 This outfit was acquired directly from the production company after its completion in 1999 and is accompanied by a letter of authenticity from the costume house.